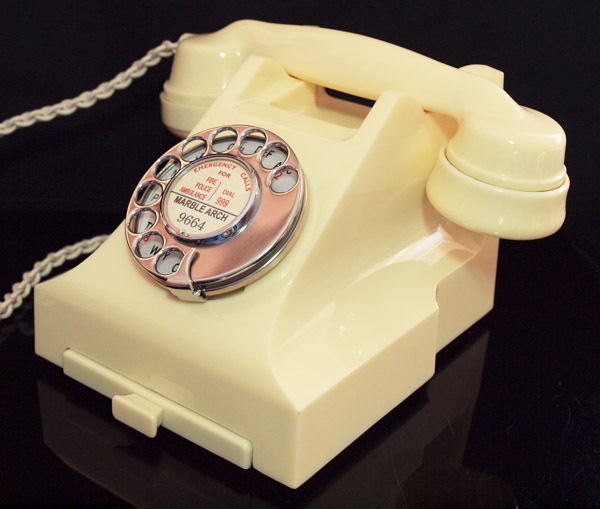 This is a stunning telephone as you can see. slight imperfection and so discounted. 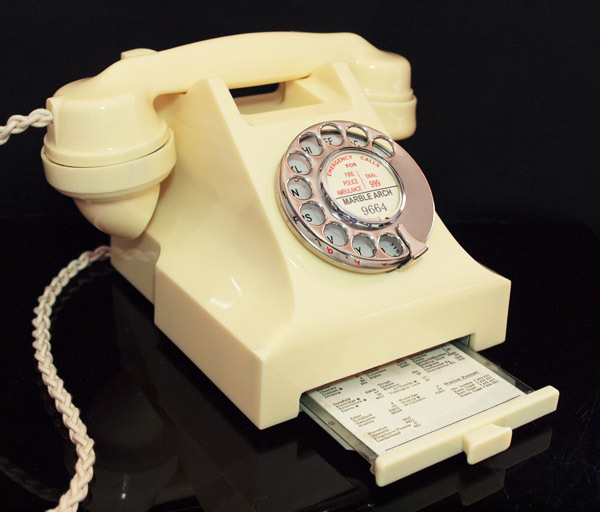 This is a fabulous telephone and a beautiful yellow Ivory. 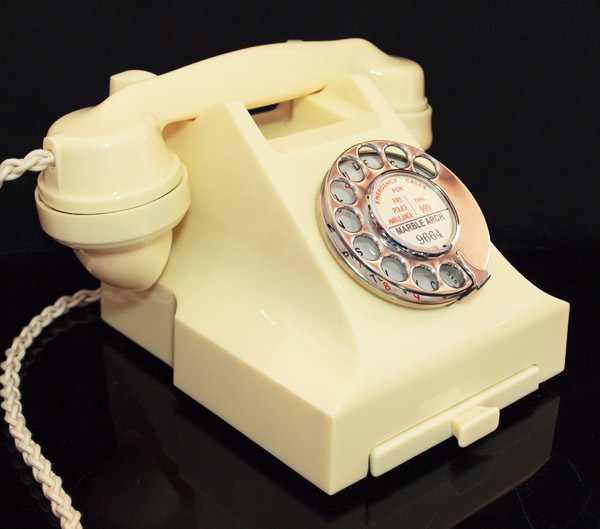 It has been totally stripped down and re-rebuilt and has been fitted with a very best quality all British manufactured hand plaited braided handset cord, an electronic microphone and a GPO specification round plastic line in with a UK telephone socket. It has been set up on a special piece of equipment to make sure it is calibrated to work on any network. 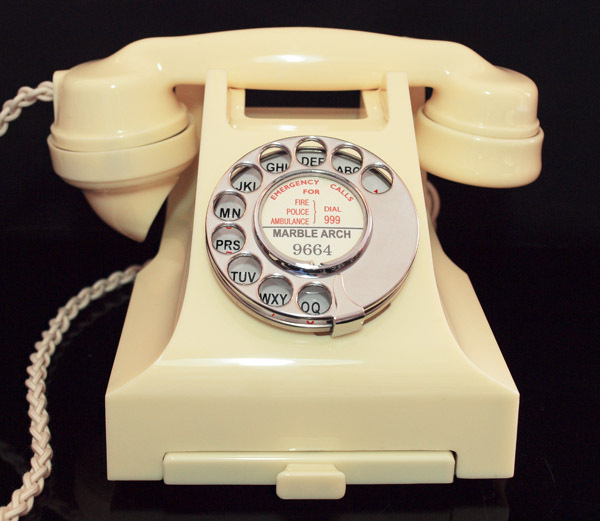 It has been finally tested on my own BT line to make sure it is working perfectly.This telephone has some slight imperfections in the plastic. These can only be seen in direct sunlight but in ordenery light can only be seen at very close range if you know they are there. I have discounted it but I am sure you will wonder why when you get it. I can fit a dial label with your information at no extra cost.